After the disastrous floods of 2008 the University of Iowa undertook an ambitious re-building project. Included was the creation of the $189 million Voxman Music Building with state of the art performance and practice facilities. 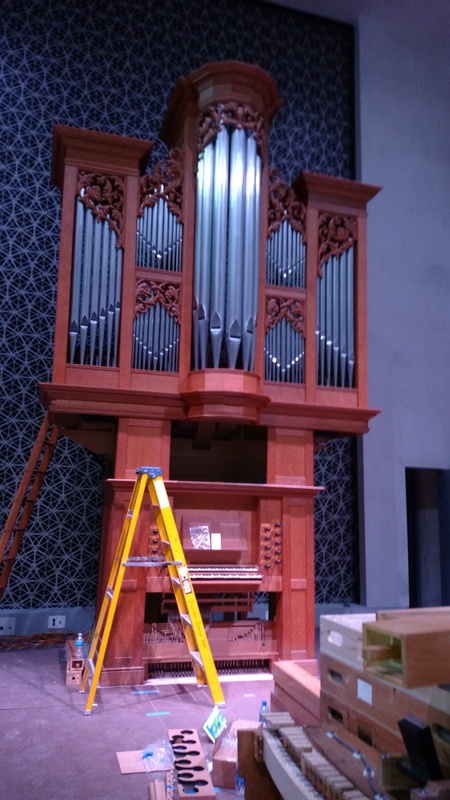 Buzard was privileged to participate in the moving and consolidation of 5 pipe organs into new spaces, including Taylor & Boody’s Opus 13 (1987), a Schlicker Tracker, a Holtkamp “Martini” Organ, and practice organs by Brombaugh and Casavant.